Organized by Reliable International Exhibition Services Co., Ltd., the twelfth edition of China International Tire Expo has completed successfully on September 12, 2014 at Shanghai Everbright Convention & Exhibition Center. In the three day event, 350 exhibitors occupying 35000 square meters of exhibition area showcased their latest products, services and technologies. The four full exhibition halls have been taken up this year in order to accommodate the increased number of the exhibitors. Being one of the world's most influential and the largest tire related trade show in the Asian region, CITEXPO has put together the tremendous buying power of the worldwide tire industry in the three day event. And the result has exceeded almost all of the exhibitors' expectation. 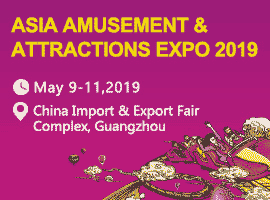 The organizer claimed that there were 5880 international and 5783 domestic visitors from 112 countries and 32 Chinese provinces and regions have attended this year's show. 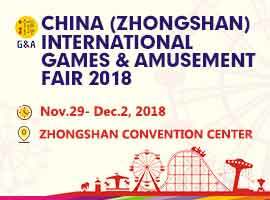 Besides the major Chinese manufacturers, foreign brands' representatives and other suppliers, the exhibitors also included the worldwide suppliers from the five continents such as the United States, United Kingdom, Germany, Poland, Korea,Thailand, India, Australia , The Netherlands, Italy, Singapore, China Taiwan and other countries and regions. Some familiar names such as Cooper Tire, Saffiro, Vee, Techking, Double Coin, Cemb and Butler from Italy had taken their large booths showcasing their latest products. CITEXPO, has become a must to attend event in tire industry, 95% of the 2015 exhibition space has been booked at the spot of 2014 exhibition. It is expected that there will be a huge increase in amount of high quality visitors attending the show next year, for that reason, most of the exhibitors have increased their exhibition space to accomodate their needs. Being the largest tire show in the region, CITEXPO seems to have developed itself successfully into a routine event for the worldwide tire industry in the past 12 years. The thirteenth annual CITEXPO will be held in the same venue in September 9 - 11 in 2015. Wish CITEXPO 2015 another great success.